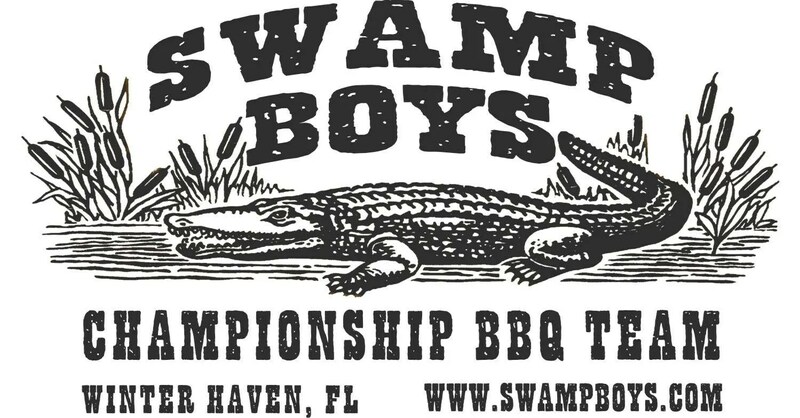 ABOUT: Swamp Boys are a Winter Haven FL based team, and now also championship BBQ sauce and rub producer. I began competing as a “pro” in 2004, was a Top 5 team in the Florida BBQ Association (FBA) in 2006 and 2007, was Team of the Year in 2008, 2009, and 2017 Team of the Year. I was inducted into the Florida BBQ Association Hall of Fame and was given Lifetime Membership. We were ranked the #1 team in the country for all of 2009 by the National BBQ Rankings. We were ranked #1 nationally again in 2013. We compete primarily in the southeast – FL, AL, GA, SC, NC and TN in both FBA and KCBS contests. We have won 64 professional Grand Championships and 50 Reserve Grand Championships. I was hired to go to Brazil to train and help open that country’s first ever American-Style Barbecue restaurant. I have taught professional BBQ classes from FL to IL to AZ, even The Hague, Netherlands. Hundreds of people from all over the country, Canada, and Europe have attended. I’ve been a spokesman for Kingsford Charcoal at the Daytona Firecracker 400 and the Steve Harvey Show. 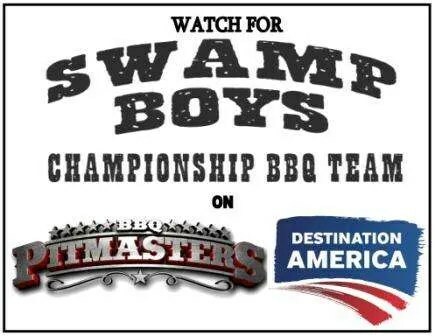 We competed in two episodes in Season 4 of the TV show BBQ Pitmasters. There are many more honors. But to sum it up, we’ve been blessed. CATERING: Besides competing, we also offer world class barbecue catering on a limited basis. Let me provide the best barbecue you’ve ever had for your next event – party, wedding, graduation – whatever. All of our meats are slow smoked the old fashioned way on wood & charcoal burning pits. I use combinations of pecan, cherry, oak, & hickory to smoke the meats from 4 to 16 hours, depending on the cut. The end product is far above & beyond anything you’ve ever had at a “BBQ” restaurant. Guaranteed. Call or email me today to reserve your date & discuss your menu. Or better still, come visit me at a Barbecue Competition & you can sample some. My BBQ Catering mission is not to be the cheapest. It is to be the BEST.